IWhat can I say about this beautiful Island except it was everything I hoped it would be and more! 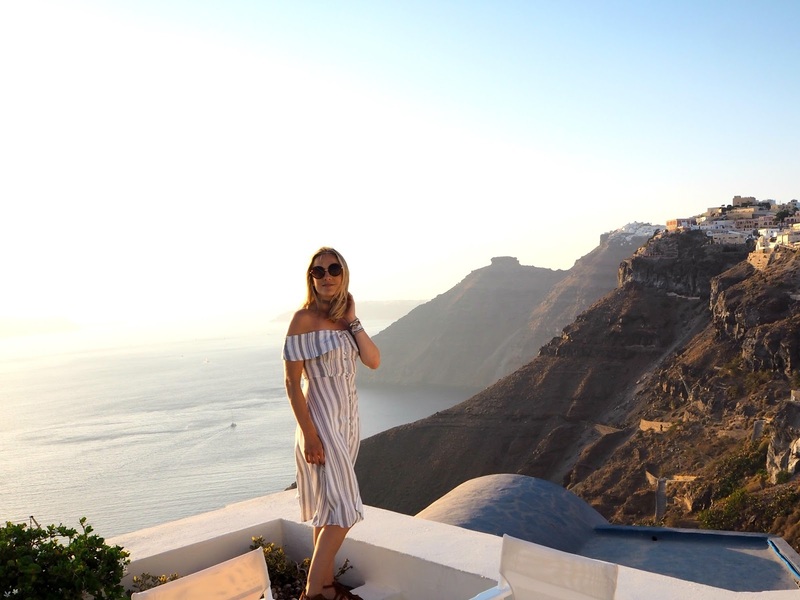 Santorini has been at the top of my bucket list ever since my Instagram feed started to fill with photos of cascading white washed buildings and infinity pools overlooking the most amazing sunsets! 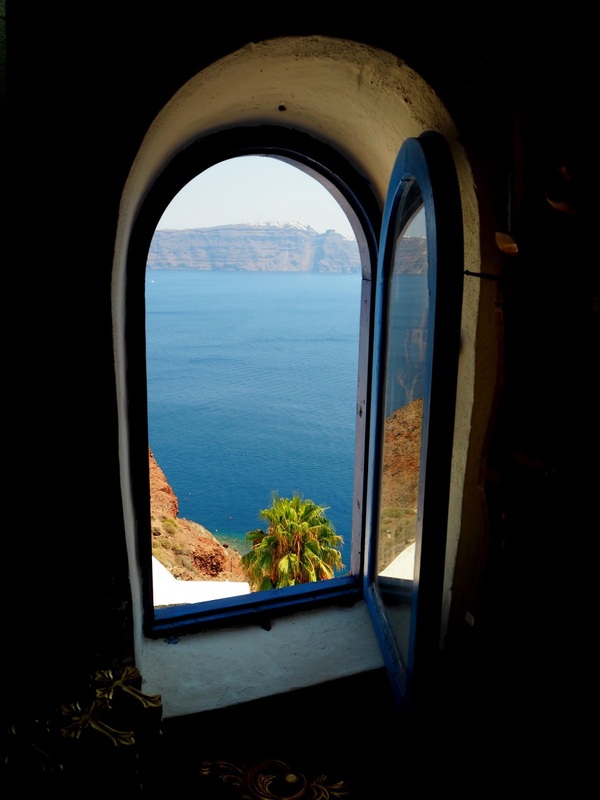 Santorini is a small island set in the southern Agean Sea. 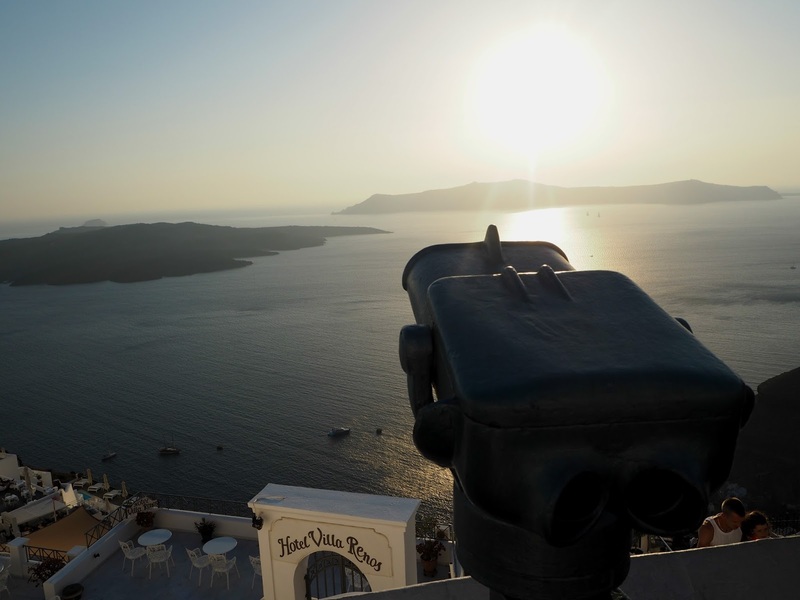 In 1450bc a volcanic eruption caused the middle of Santorini to fall into the sea which left a steep crater know as the Caldera peeping above the water. 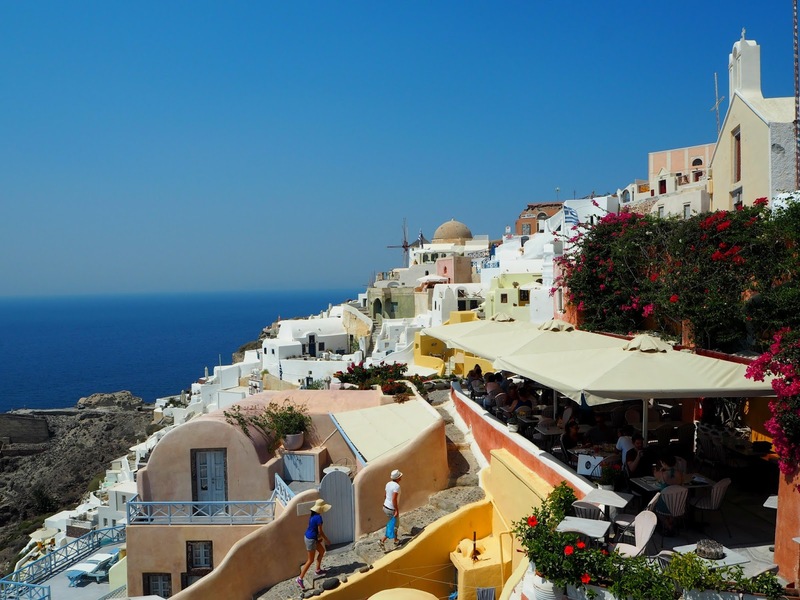 This is where you will find the cascading sunset towns of Fira, Oia and Imerovigli. We stayed on the Island with our twin boys for 2 weeks and squeezed in a hell of a lot, I would love to share our gems with you and maybe inspire you to book a romantic getaway perhaps! This was our first visit and I am no expert but we had such an amazing time I had to share. 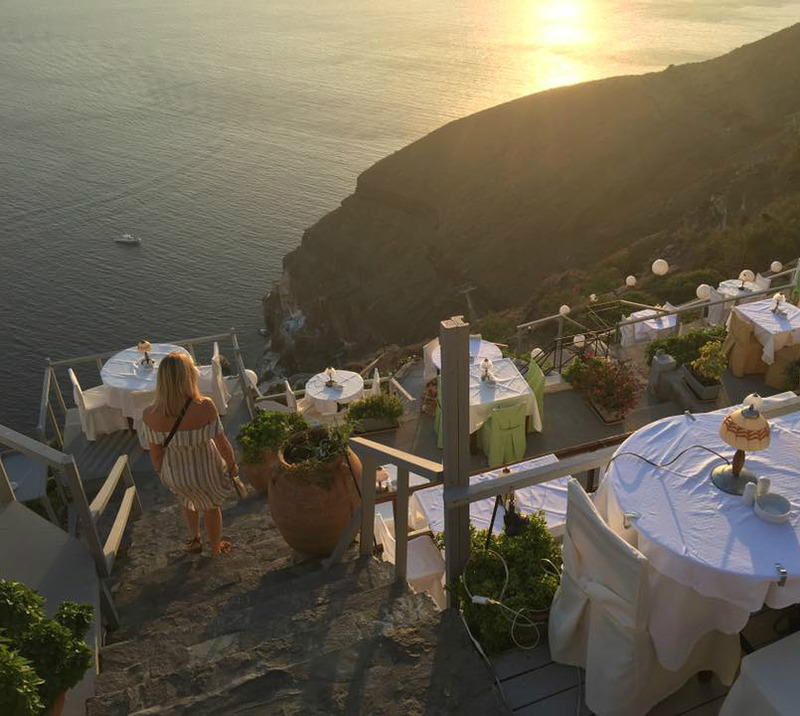 There are three towns which are situated along the caldera and benefit from the stunning sunset views Fira (The Capital), Imerovigli and Oia. The other towns Kamari, Perissa and Perivolos are on the flat beach fronts and are framed by imposing cliffs and stretches of beach front bars and restaurants. 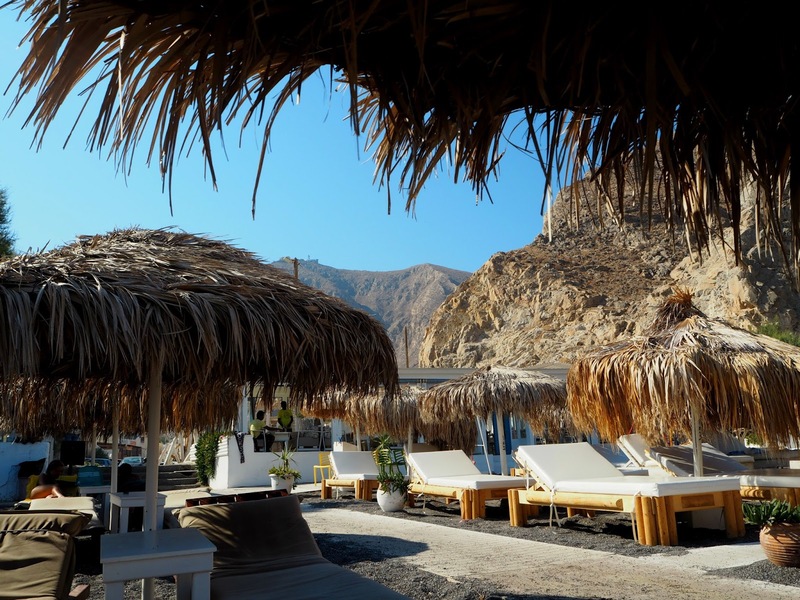 You pretty much can’t go wrong when choosing a base in Santorini as the island is so small and is well linked with public buses We stayed in a town I have not mentioned called Monolithos, it is a very small and chilled area with just three restaurants and a mini market. It is based on a large stretch of beach which is mainly frequented by locals and kite surfers! 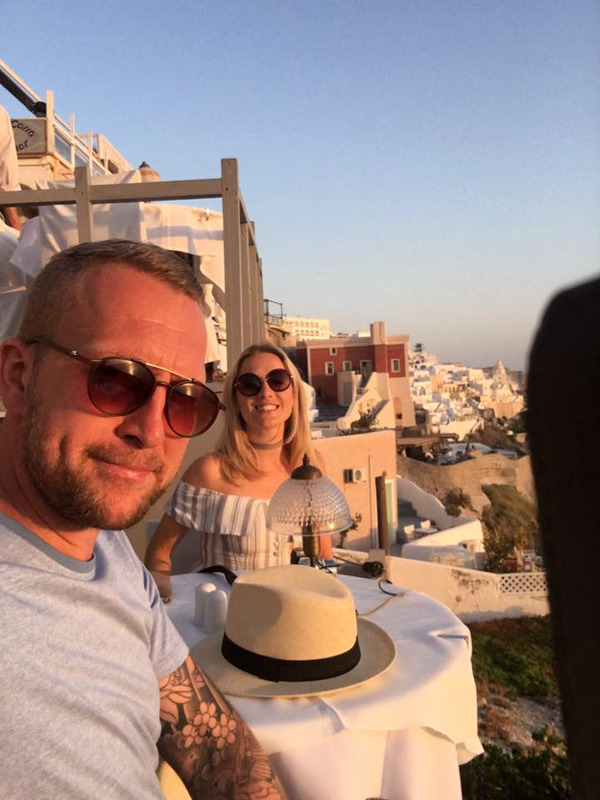 We felt extremely chilled out here and were lucky to find a friendly family run hotel called Scorpios Beach, we felt like we were part of the owners family. Our boys made such lovely friends here they didn’t want to leave! Also this hotel is very reasonably priced! I must advise that if travelling with children I would stick to the beach front towns, although the hotels along the caldera accept children, they are full of honeymooners. Often rules are put in force around pool areas, no shouting and bombing into the pool. If you have crazy boys like mine this would not have been fun for a whole two weeks! I would definitely recommend hiring a car, we hired Jimmy the Jeep from Santorini Car Hire for 50 euro’s a day. Whatever company you go for will drop and collect the car to your hotel for no extra charge. You get more of a feel for the Island when you can explore freely. We loved heading out for the day and grabbing lunch in one of the many Greek bakery’s, they are a sugar addicts paradise! I had never seen so any cakes in my life!! 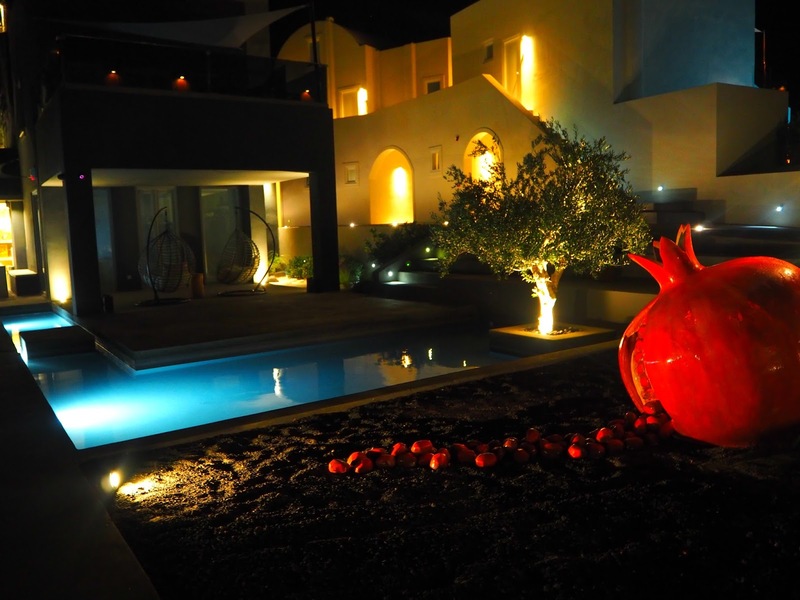 Our favorite hotel was the Athina Suites, we managed to get out just the two of us and have a beautiful sunset dinner here, the most delicious tagliata. 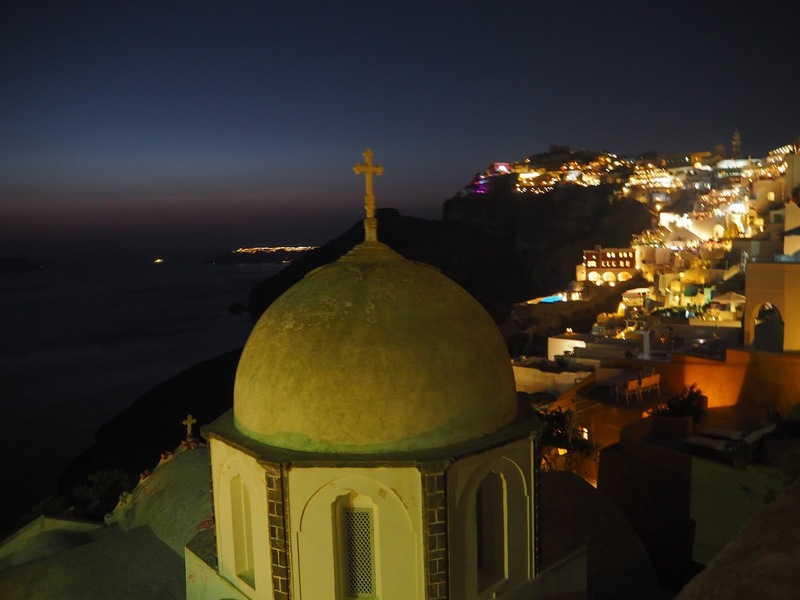 Fira is the capital of Santorini and the busiest of all the villages. 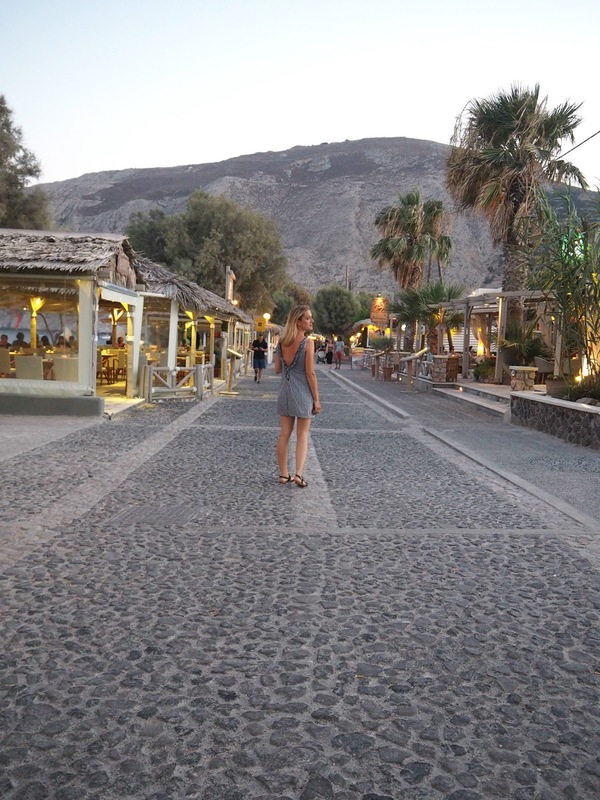 It is set on the caldera and is full of hotels, restaurants, bars and shops cascading down the cliff side. We ate out here a few times and the food was amazing on both occasions! Some restaurants are a little pricey but you can find some reasonably priced gems or grab some giros in pita and have a wonder round the boutiques. The sunset is stunning here as you watch it disappear behind the volcano. For something a little different in Kamari the open air cinema is a must!! The films are shown in English with Greek subtitles and it really is a gorgeous setting. 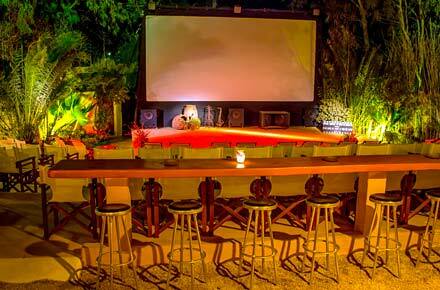 A bar, hotdogs, popcorn and the stars…what more could you want!! Although we didn’t eat dinner here or in fact spend an evening, we did have the most fun on the two days we spent hanging at this lovely beach!! You can hire sunbeds for a varing price all the way along Perissa beach, we used The magic Bus at 12 euro’s for two beds and an umbrella, this beach has tiny shingles which can be painful on the walk down to the sea but at least you won’t get sand in your pants! 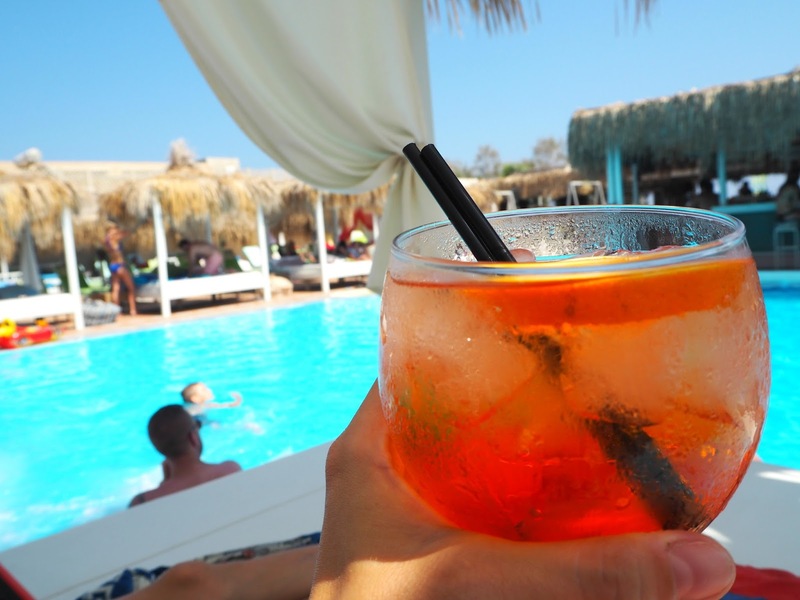 We spent one day chilling at Jo Jo beach bar, this place is so much fun and made a nice change to the relaxation of our hotel. Our boys love music and a fun atmosphere so this was perfect for us. There is no real cost of a hiring a cabana bed next to the large pool, they say you need to spend 60 euro’s but are not strict with this at all. I would love to return here without the kids as the cocktails and party atmosphere was brilliant! 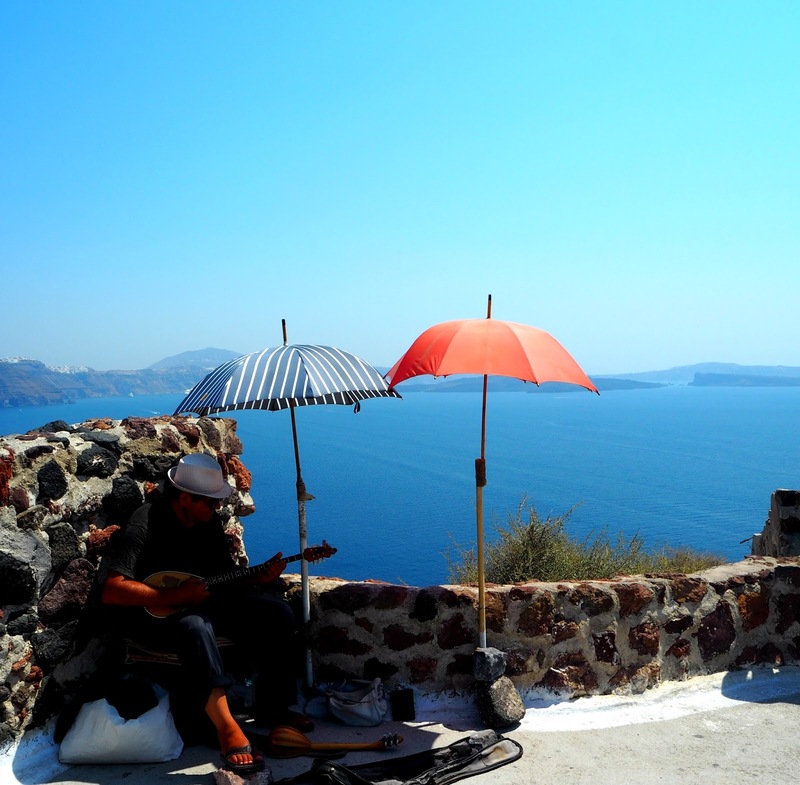 What can I say about Oia apart from it is the most idyllic town in Santorini, it is simply stunning! I loved the cobbled streets lined with quirky shops and high end boutiques! 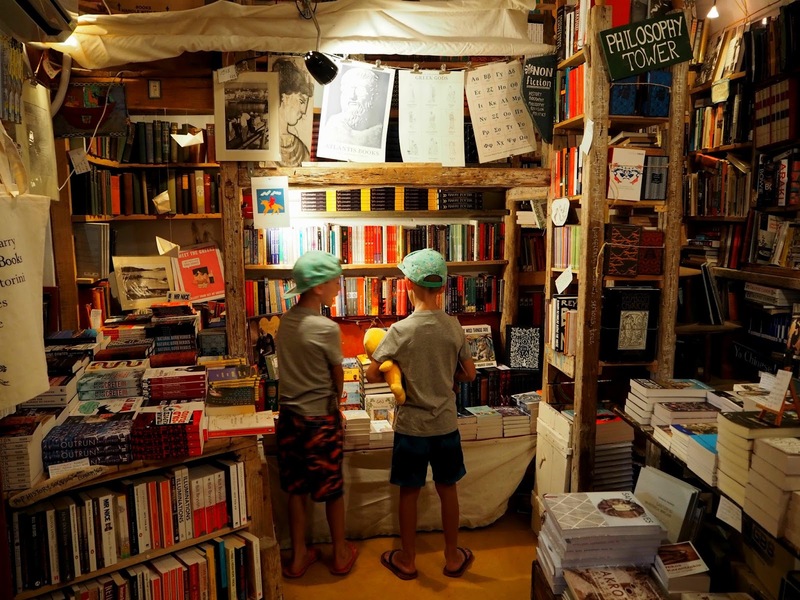 I could have spent a lot here!! 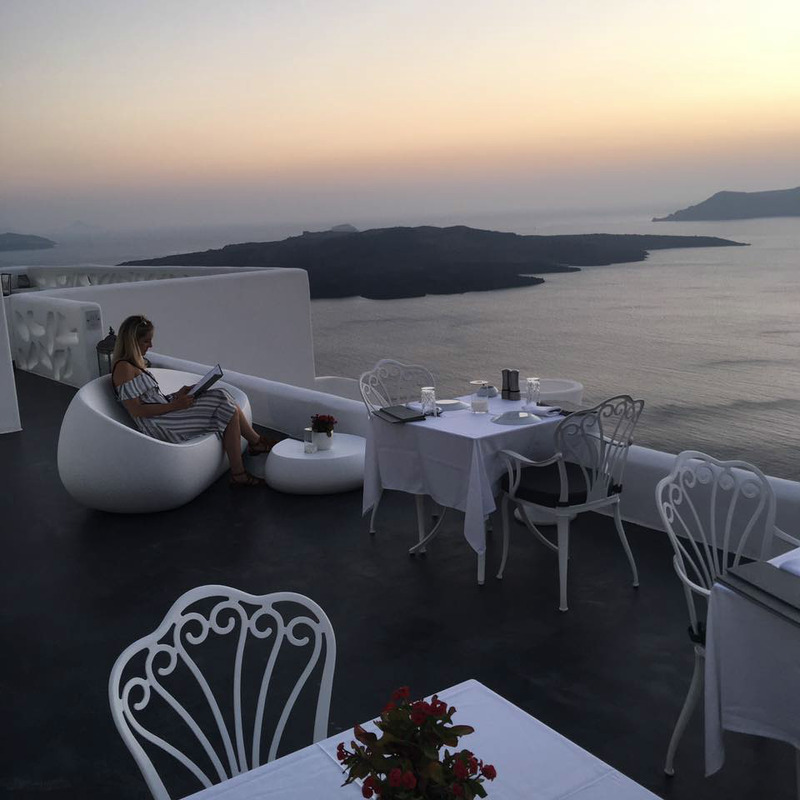 The main reason people visit Oia is for the sunset, this is the best place in Santorini to watch it as the sun is swollowed by the sea not the volcano. It gets very very busy to the extent of being like Wembley on a match day! I suggest arriving early and booking a restaurant with a sunset view. We had a lovely meal at Sunsets Tavern sitting on their rooftop terrace, delicious food to!! If you want to go away for a long weekend of pure indulgence then this is the area to stay. 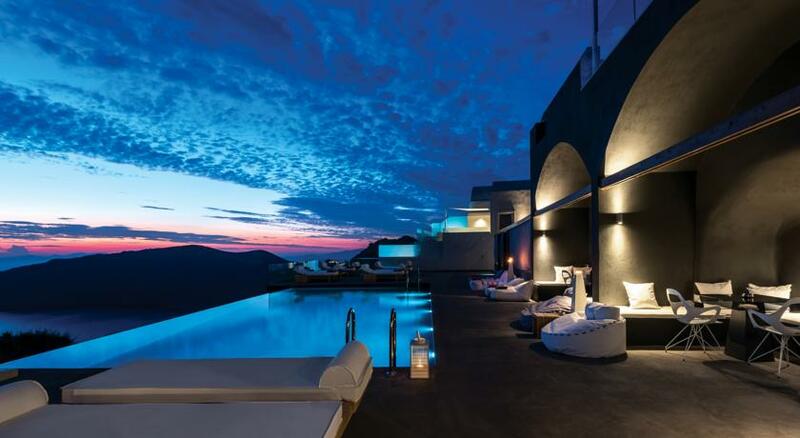 Imerovigli is also along the caldera and is home to the most luxurious hotels in Santorini. There are many to choose from which are mainly child free. We had some evening cocktails at the West East Suites which is unbelievable, this place is out of my budget but I would love to stay here. 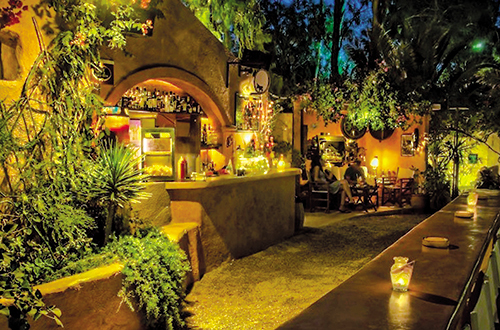 If you would like to experience this beautiful place, you can visit most of the hotels as a day guest as long as you buy food and drink they will allow you to take advantage of the facilities. 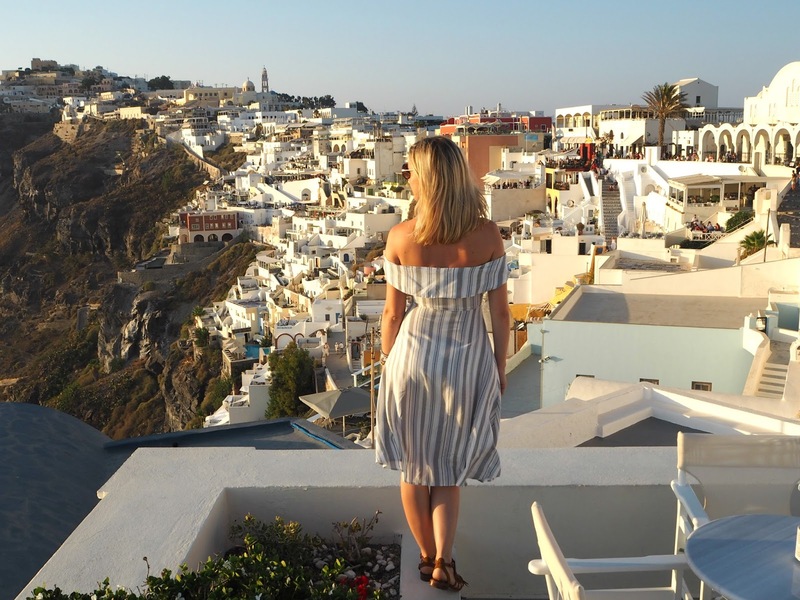 Make sure you visit ancient Thira, a city built on a cliff top 300 years ago! It’s the oldest archiological site in Europe! It blew my mind. Take a boat trip to the volcano and swing in the hot springs, such a relaxing day trip. If you visit Santorini with friends maybe charter a boat between you as the day trips get pretty packed! Go and visit a winery, there are so many on the island. We went to Santos Winery which was large and had an amazing sunset view. The wine tasting was perfect, the Rose is my favourite! If you have any questions or need advice please do get in touch!